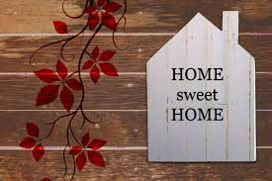 What do you think of when you think of home? A safe shelter? People who love you? A place to rest and to be restored? All of those immigrants walking from Honduras have at least two images of home – one that they are walking away from and one that they are walking toward. Home, as many of us know, is not always a safe place. First, a little about me. 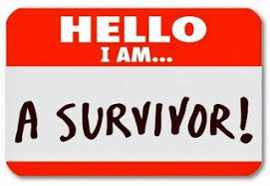 I am a survivor of childhood sexual abuse and given the effect that has on one’s self worth, it’s not entirely surprising that I am also a survivor of domestic violence. If you have not been a victim of family violence, you know someone who has – even if you don’t know it yet. It has taken about 20 years for our society to shift attitudes about what happens in the home, what happens behind closed doors. For most of our history, we considered family problems to be just that – something that the family would deal with and we should stay out of. Discipline – no matter how extreme - was a parental issue and when I started working in the area of domestic violence, I heard all kinds of justifications and excuses for mistreatment of your spouse. Slowly, we have moved the needle – first to education and awareness campaigns, then to creating places of assistance and support, and finally to advocacy. Today, for the most part, we are unwilling to accept any form of child abuse or domestic violence – and we are working toward that same path of awareness, supports and advocacy in the area of elder abuse. As we go, a new term is finding its way into our social vocabulary – Family Violence. 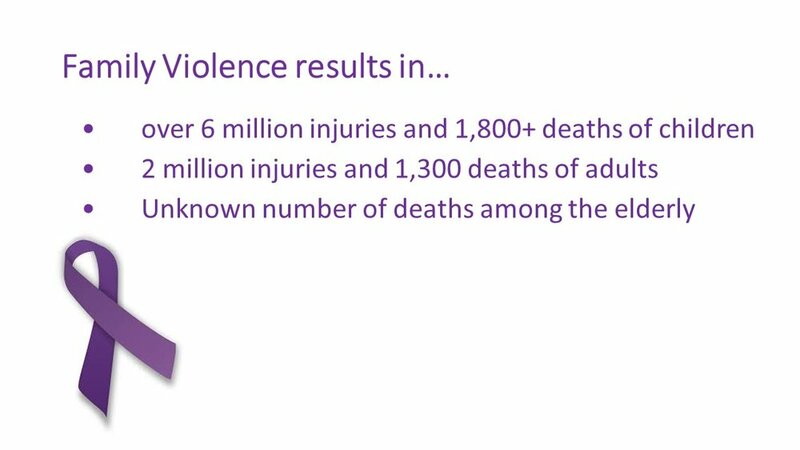 Human Service Edu.org does a great job of spelling out the sad realities of Family Violence. Family violence is a convenient umbrella term that includes Domestic Violence, Elder Abuse, and Child Abuse. And it recognizes that trauma in one part of the family has a psychological impact on the whole family. There is the immediate trauma of abuse and there is Vicarious Trauma. Both can include substance abuse, depression, PTSD, self-harm and suicide. Some researchers even believe that Family Violence can bring on bi-polar disorder and ADHD. Physical violence is the most well-known form of Family Violence. Millions of Americans are injured this way every year. In severe cases, these injuries result in death. Sexual assault continues to be a largely hidden epidemic which can affect not only adults and children but also elders. Both physical violence and sexual assault are illegal. Psychological or emotional abuse is not illegal but it’s scars can be just as deep and even more debilitating than physical abuse. It includes screaming, insults, attacking self-esteem, manipulation and other attacks on the psychological well- being of the victim. Emotional abuse can be as overt such as yelling swear words in the face of the victim, or as subtle as manipulating someone else’s actions. Emotional abuse is debilitating because it crushes self-confidence, lowers self-esteem, and even decreases the effectiveness of the immune system. Financial abuse is about denying someone their financial freedom and independence. Abusers might prevent able bodied adults from accessing their own money or getting gainful employment. It is a subtle form of abuse but is very effective at controlling the victim and it can be extremely damaging to the victim’s self-worth. Medical neglect is a type of abuse that is particularly dangerous for children, elders or seriously ill adults. Denying someone medical care can cause extreme emotional harm and death. 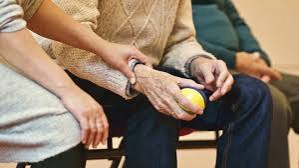 Unknown number of deaths among elders every year because when an older person dies, it is rarely investigated for elder abuse. I’m grateful for each one of them for being here to help us understand what we can do to create a safer home environment for everyone. For our reflective time, I want to invite us to move from thinking of people in terms of victims to seeing them as survivors. You have paper on your desk. I’d like you to write the word victim on that paper. I would also invite you to write the name of someone you know who has been the victim of abuse or neglect. That person might be you. I’m going to ask you to spend a minute thinking of that person and their journey. Then I invite you to come up and place that paper in this bowl of crystal clear water. And as you do I want to invite you to let go of the label of victim for yourself or for someone you know, along with whatever emotion you attach to that – emotions like fear and pain and shame. I want you to notice something about the water now. It isn’t crystal clear any more. The paper dissolves, but the water is never the same again. We can let go of our hurts and the injustices committed against us. We can set down the label of victim and take up the mantel of the survivor. We can find strength and do spectacular things. But we can never be entirely free of the abuse we have endured. It has left its scars on us – physically, emotionally, psychologically, spiritually. So I encourage us to be aware of the scars. Scar tissue is stronger than the original tissues. Those of us who have suffered at the hands or the words of a family member, have an inner strength that will always be with us. And that we can use to help others to find safety, to find healing, to find their own strength. Together we can create a society in which we will no longer ignore or excuse acts of family violence. It begins with us, it begins here, it begins now. Thank you to: our Panelists for speaking, Marco’s Pizza for our lunch, David Lewis for being our Underwriter, and Dan Anderson for leading us with music. Join us next month, December 15, for our next Inspire! Event, where we will be speaking on Spirituality/Faith/Ethics and Mental Wellbeing! Tagged: conversation, community, Child abuse prevention, Abuse, Inspire!